Valentine’s Day is just around the corner. Still enough time to sew a simple fabric heart complete with a little pocket perfect for holding a love note or a special treat (chocolate, please!). 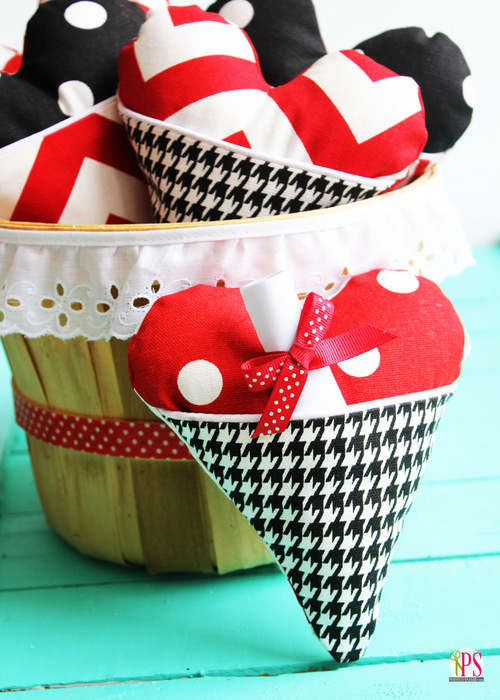 Add stuffing to make the heart a mini-pocket pillow, or leave out the stuffing to create a pretty pocket for your favorite Valentine. Get the free, downloadable pattern and tutorial from Amy at Positively Splendid, and make one for your sweetheart this Valentine’s Day. Be sure to also visit BERNINA at Pinterest and check out our Handmade Valentine’s Day board for more free tutorials and projects!